Home » What a replica is? 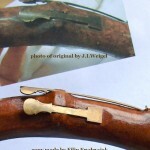 What a replica of a historical oboe is? 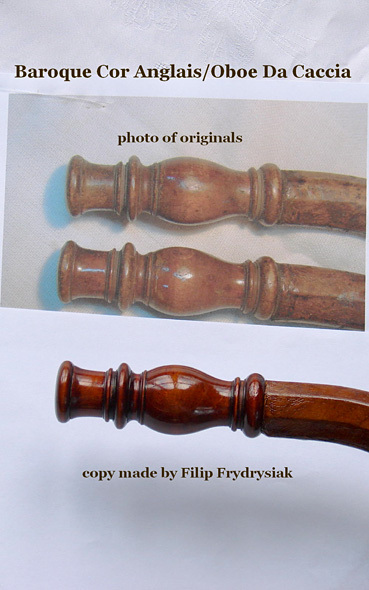 Many people ask why replicas of historical oboes made by different makers differ from each other, although they are modelled on the same original antique instrument. It is an important issue. It concerns not only the appearance, but also everything that makes up the sound of an oboe: the intonation, the proportions of the body, the finger holes. It should be emphasized that the term “replica” can be misleading, since even the most faithful replica is always an “arrangement” of the original instrument. Making a copy, that is, measuring the original, designing the tools and, finally, the way of making it, is such a complex and complicated work (and, contrary to all appearances, also very creative) that it is impossible for anybody to perform it identically. It is simply unfeasible. 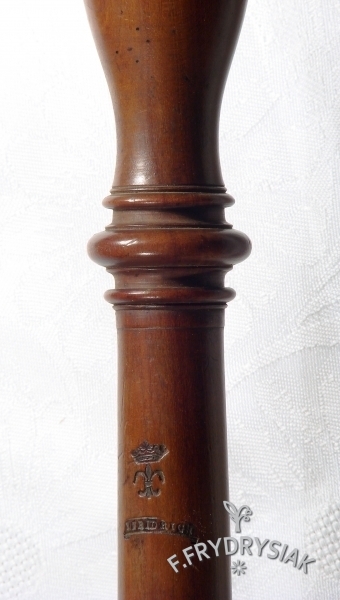 The bore of an oboe is an element which is very sensitive to even the smallest changes and making a copy of a period oboe requires not only extreme precision, but also thorough knowledge from the maker. Nowadays, the pitch assumed for the Baroque music is a’=415Hz (the music of French Baroque is sometimes played at the pitch a’=392Hz), while for the music of the Classical period it is a’=430Hz). These assumptions were made solely for practical reasons, for the sake of convenience. In the 17th century there did not exist such “global” standards and even in one country many different pitches were used. This is the reason why the instruments which have survived to our times play at very different pitches. There are many well-preserved period oboes which play very well, but the pitch in which they were built makes them completely useless for our contemporary oboists, who have to submit to the orchestra which plays at a’=415Hz, or a’=430Hz. 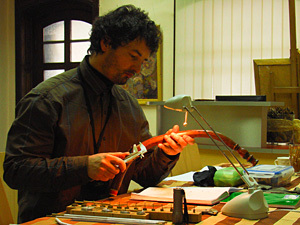 It happens quite often, then, that a maker copying a very well-playing instrument has to redesign the original measurements in order to adapt the oboe to the standard of contemporary baroque or classical pitch. Another issue, equally important, is the kind of pitch itself. 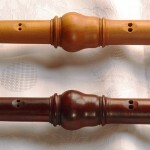 Nowadays, the musical ensembles which play old period music use equal temperament pitch, and, obviously, the oboists are required to play on their instruments at the same type of pitch. Obviously, the instrument makers also have to accommodate to/ fulfil the requirements, although it is a well-known fact that for the majority of Baroque music the equal temperament pitch (which is used today) is completely inadequate in Baroque music. 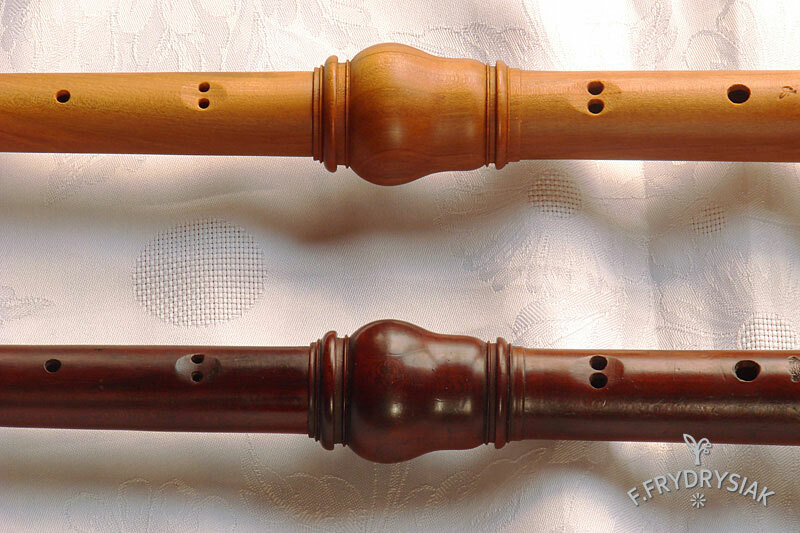 Taking into consideration the types of pitches used in the 17th and 18th centuries, one can say that certainly more adequate would be to make replicas of oboes, e.g. at Werckmeister’s pitch, particularly for playing the music of the German Baroque. The original authentic baroque oboes were not made at the equal temperament pitch… Of course, that is another element which causes the necessity of making certain modifications in the copies of oboes in relation to the originals. 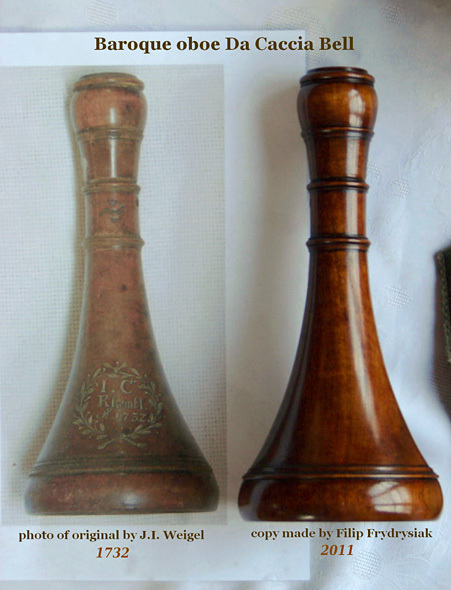 Such a “retuning / altering the pitch of the original” can be achieved in many different ways and, in fact, each maker has his own methods for it. 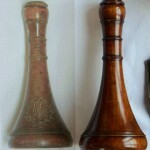 And that is why the replicas may differ from each other. Some ancient oboes play very well at 415 Hz (as for example Poerschmann’s oboe d’amore and Weigel’s oboe da caccia), so copies can be identical as originals in every detail. However, it should be noted that nowadays there are, unfortunately, quite a lot of oboes in use whose degree of modifications in relation to the originals is so large that they can hardly be called copies. Various strange modifications, or “modernizations” can frequently be visible even to the naked eye, without taking measurements of the instrument. Let us take as an example the doubled holes for g and f sounds. 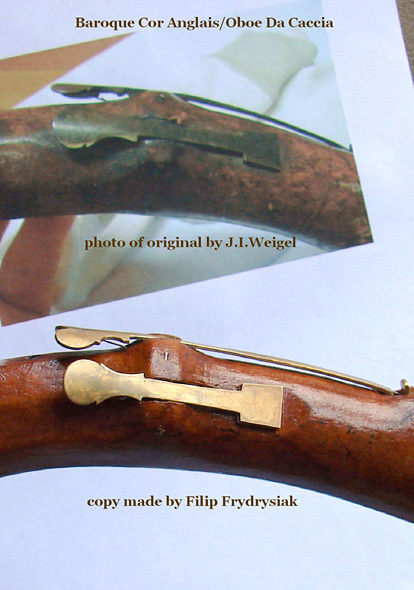 Namely, I sometimes see oboes (alleged copies of 18th century instruments) which have the above mentioned finger holes drilled in the way it was made only as late as in the 19th century, even in the latter half of it (sic!). 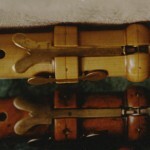 In the 18th century oboes the doubled holes were ALWAYS drilled at one level in relation to the axis of the instrument and they were of the same size ( that is, the hole fis as f, and the hole gis as g). It is important, because such a construction determines, to a large degree, the tone colour of these sounds! 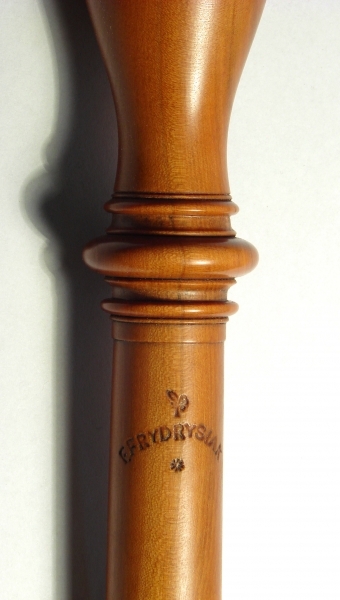 If the bore of an oboe is properly made (and it faithfully renders the genuine instrument) the original proportions of these holes perform their role excellently. (to the axis of the instrument) and diversification of their sizes (that is, the hole g is bigger than g# and the hole f bigger than f#) can be found only in the oboes from the 19th century. 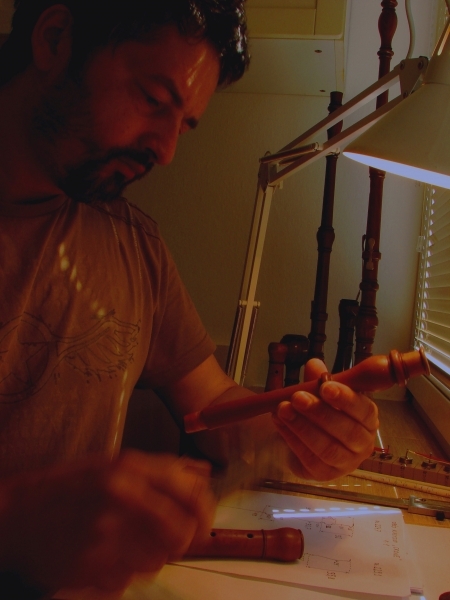 After the years of my own studies and measuring historical oboes I know that one of the most important things, apart from, of course, taking thorough measurements of the original, is to “decipher” the intentions of the maker on the basis of the genuine instrument. I know what he wanted to achieve by using this particular construction. Of course, without practical knowledge of the proportions of the bore of an oboe and how they influence the sound (the intonation, the sound emission, the kind of the sound) it would not be possible to find it out. In my opinion it is the most important to strive for reconstructing the sound of the original instrument and refrain from making unnecessary modifications; allow for them only in the situations when they are absolutely indispensable, and only to a minimal degree. This is my idea – to remain humble towards the makers of the centuries gone by and appreciate their mastery, without making “improvements”. 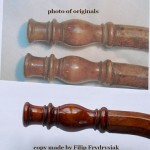 Just like today, for example, the scores of Bach’s works are not changed, and just like the pioneers of performing the period music on historical instruments advocated the sound of pieces of music in their original, authentic form, I also claim that playable oboes of the well-known old masters of oboe-making which have survived in good condition should be absolute standards for us, since only then we shall be able to discover the original sounds of musical pieces from the past centuries.